As the gray skies and muted pallet of winter settle, I wanted to add a burst of color for today’s post. 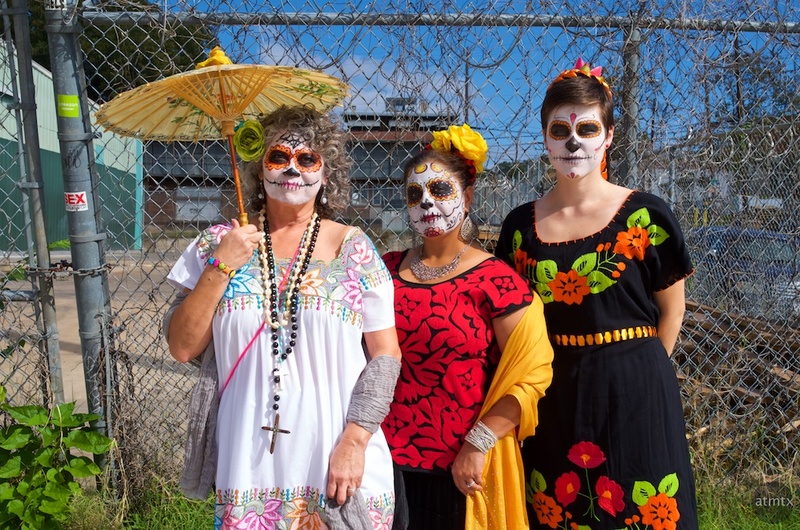 I shot this before the Dia de los Muertos Parade at the end of October — taken in the east side of Austin, with a chain link fence framing the group. It’s an atypical backdrop for a portrait but the color in the subjects more than hold their own against a busy background. If fact, I think the fence adds a measure of context and interest. I’ve shot the Mexican Day of the Dead parade many times, and you can see this year’s colorful parade coverage in this post. These kind of events are a great way to travel and see the cultures of the world, right in your own hometown.